BEARINX-online can be used to determine the influence of shaft deflection and the elasticity of rolling contacts on the bearings. In the case of the internal load distribution, the profile data of the rolling elements and the raceways are taken into consideration. In order to calculate the operating clearance, input aids are available that allow information to be entered on temperatures, tolerances and roughness of the rings and bearing seats. In addition, stiffness at the operating point can be calculated. 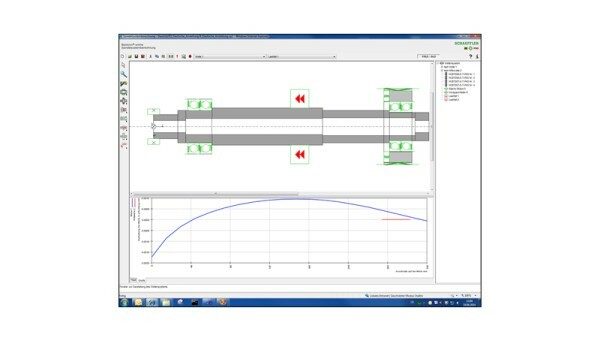 A spindle bearing wizard will assist you in the modelling of main spindle bearing arrangements. A separate results layout takes account of the special design criteria relating to pressure values, bearing kinematics and grease operating life. In addition, a dynamic simulation provides calculation of natural frequences, natural vibration modes and critical speeds, thus creating a basis for generating a Campbell diagram that can be used to investigate resonance points in the operating range. 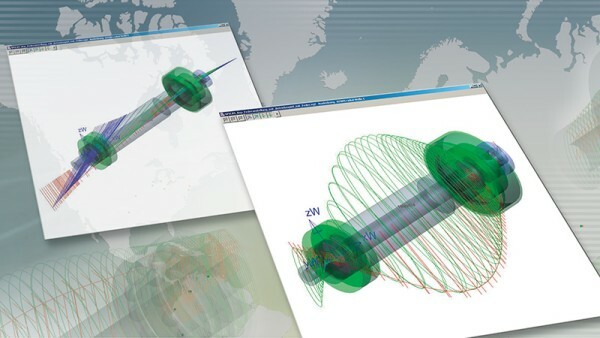 The results of the dynamic simulation are available in a user-friendly 3D view. If you request 'Approval' for BEARINX-online Spindle Calculation, this initiates an internal decisionmaking process which, if successful, will lead to the offer of a contract. 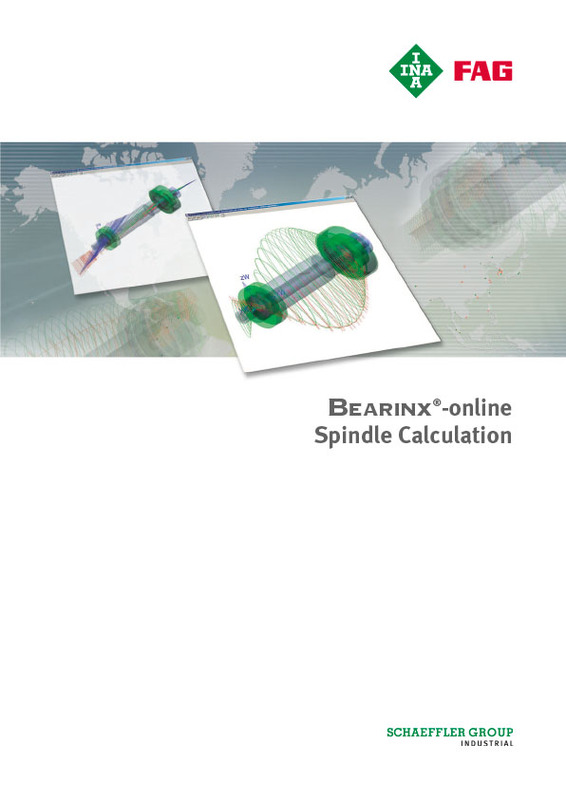 BEARINX-online Spindle Calculation includes the Shaft Calculation facility. 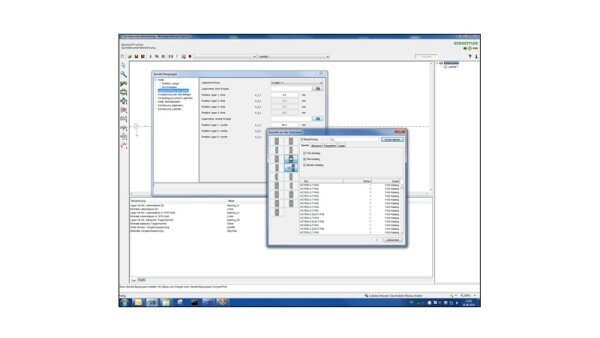 BEARINX-online Spindle Calculation is intended for provisional design of products only. For final design and selection of products, assistance should be sought from the relevant parts of the Schaeffler engineering service.